School packed lunches are the absolute bane of my week. 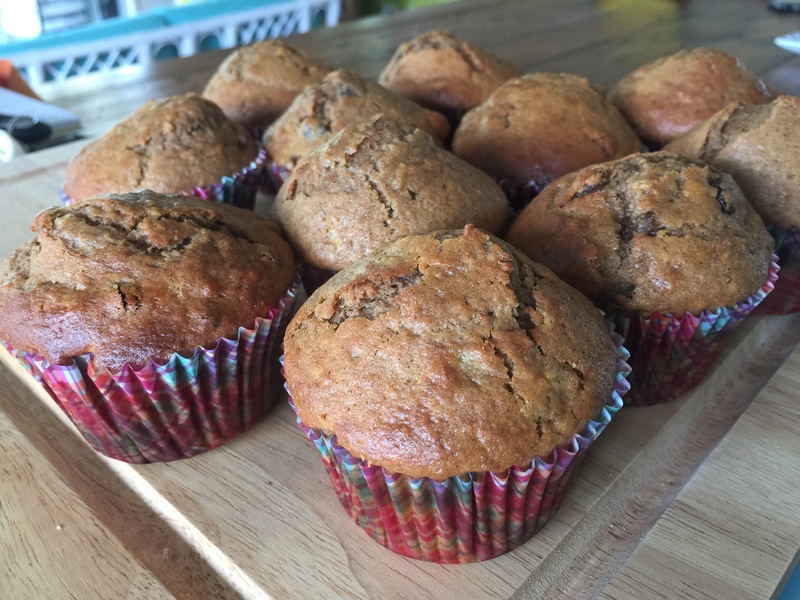 I know they should be filled with healthy goodness — but, as a time-poor working mum, trying to find things in the cupboard every morning that are fresh, nutritious and delicious (so that Miss Eight will actually eat them) is an ongoing chore! 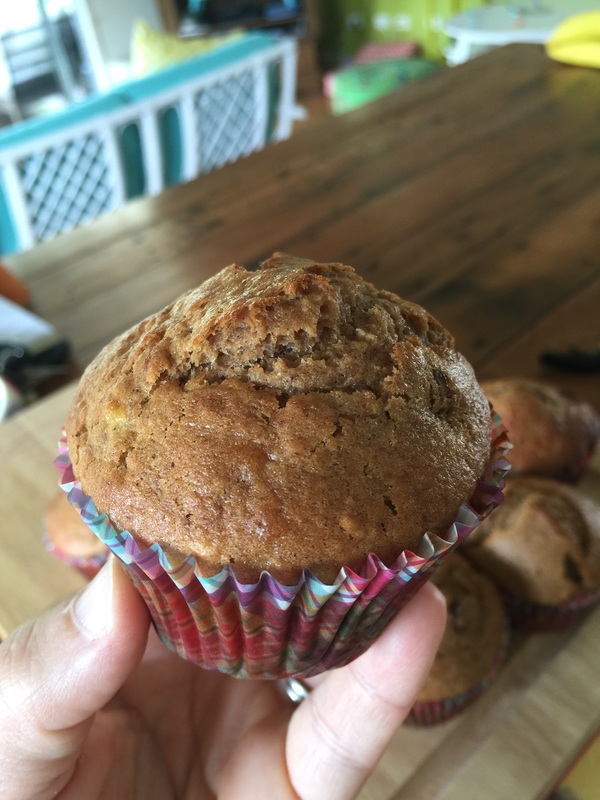 While I’m still a work in progress in this area, I have (through trial and error) created a recipe for banana muffins that’s on regular lunchbox rotation in our house. They’re a hit with Miss Eight (’cause she loves them), a hit with me (’cause I can make them in batches in advance and freeze them) and — I might be pushing this a bit far — I’m claiming them as healthy?!? Well … at least they’re made with all natural ingredients and not full of the nasty additives and chemicals that you find in the shop bought versions. And, I’ve also substituted some of the usual muffin ingredients with better options – e.g. spelt flour instead of flour, coconut sugar instead of brown sugar, and rice malt syrup instead of honey. I should add they’re also SUPER EASY to make! Now for the difficult bit … put all ingredients in a bowl and mix! Once they’re cooled I normally wrap them individually in glad wrap (I do want to come up with a more sustainable solution – but still working on this) and then put them in the freezer. This means I can just pull out a muffin in the morning when I’m making Miss Eight’s lunch box. The cold muffin helps keep the rest of her lunch cool (something we always have to think about living in Queensland) and is defrosted by lunchtime.